As my extended vacation comes to an end, the question of how I was going to blog during it also comes to an end. For the most part it was the same as usual. There were a few reblogs on the days I didn’t want to blog. And some vacation oriented posts. The photoblogging experiment was largely a failure but I am going to give it one more shot before the vacation is over. I saw this painting today at the Paris Museum Of Modern Art. 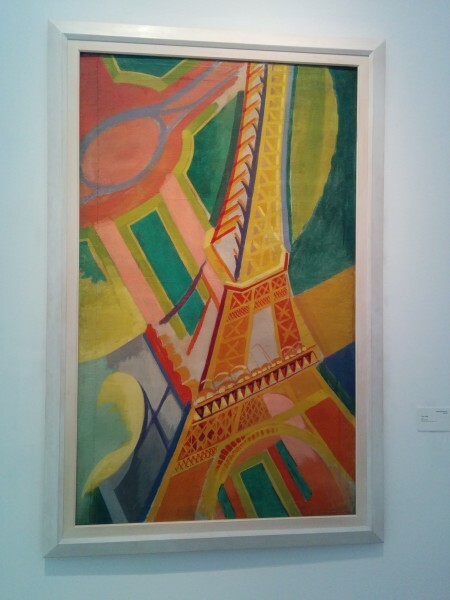 It was painted by Robert Delaunay in 1926. It is called Tour Eiffel. I really like it and thought I would share it with all of you. I hope you like it as much as I do.